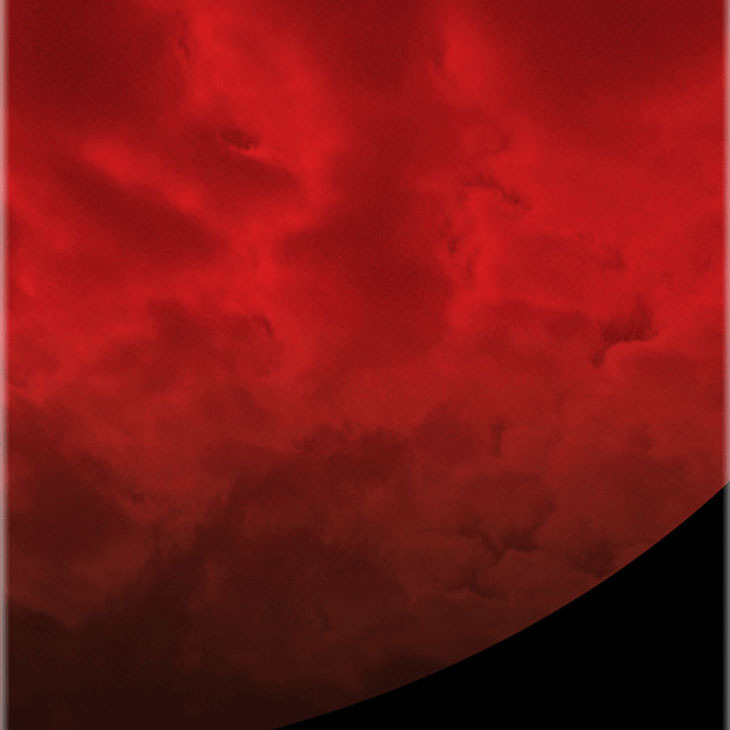 © Copyright 2015 WOLF'S HEAD. All Rights Reserved. 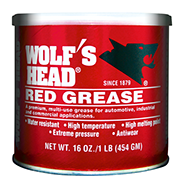 WOLF'S HEAD Red Grease is a premium, multipurpose automotive/truck chassis and bearing lithium complex lubricant. Applicable in a variety of automotive and industrial uses requiring extreme pressure protection, oxidation, inhibition, water resistance, and anti-rust properties, including; disc brakes, wheel bearings, chassis, ball-joints, 5th wheels and others. It possesses excellent water washout resistant properties and rust preventative properties, as well as offering extreme pressure and anti-weld protection. 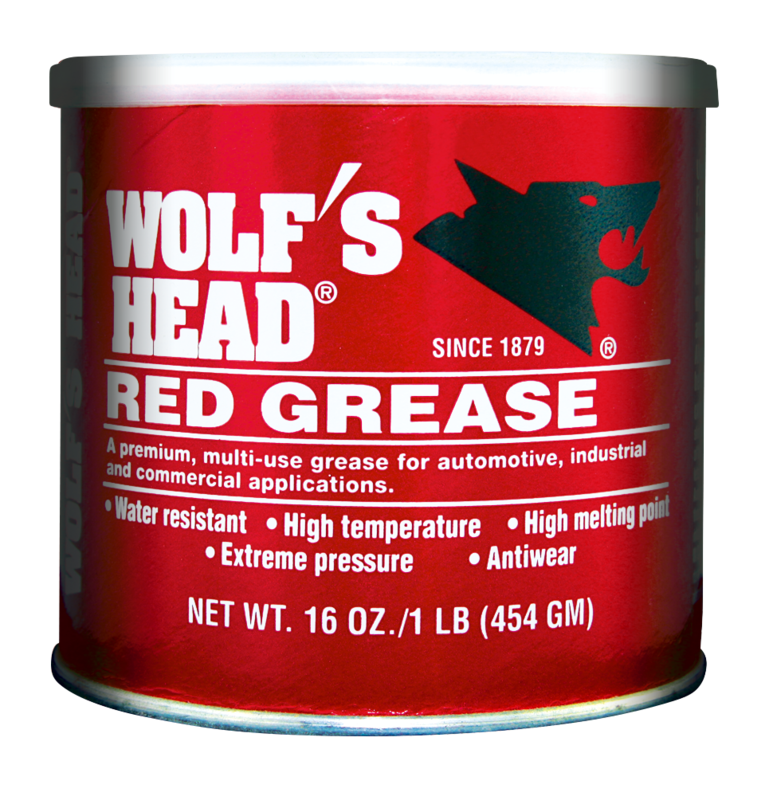 Qualified under the NLGI GC-LB classification, WOLF'S HEAD Red Grease is recommended for use in high-temperature, humidity, and water contamination applications such as mining, marine, and construction.